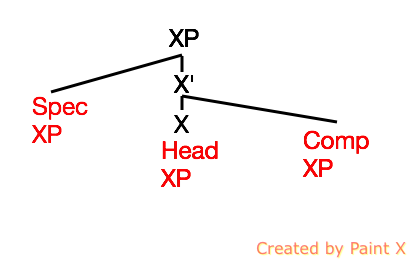 All the categories projected the same basic structure. Consider a sentence such as 9. 9. I like simple problems. We can apply rule 1, then 2, 3, 4, and 5 to get the subject I. Then 6, 7, and 8, followed by 2, 3, 4, and 5 again for the object of the verb. This is fine for very simple sentences, but simple Phrase Structure Rules cannot solve all the grammatical problems we face. For example, take sentences like 10 and 11. 10. Taro took out Hanako. 11. Taro took Hanako out. What is happening here? Is it a case of movement, or is it some new rule in our lexicon? Then consider 12 and 13. 13. Who did Hanako see? How do we capture the relationship between these two sentences? We have seen that the Chomskyan solution was to appeal to movement operations. However, is that the only solution? And what about a sentences such as 14 and 15? 14. Taro seems to like Hanako. 15. It seems that Taro likes Hanako. In 14, Taro is the logical subject of the verb like, just as in 15. Why does Taro appear as the subject of seem in 14? There are basically two ways to deal with these complications. One is to have better phrase structure rules AND have a better lexicon. This is the solution taken by Unification Grammars, which we will consider later. The other way is to extend the rule system in some way. This is the solution taken by Transformational Grammars such as the one recommended by Chomsky. 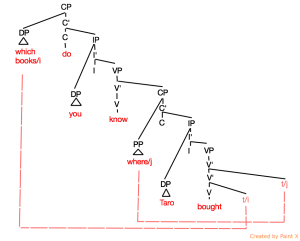 In Transformational Grammar, a sentence is provided as INPUT to a transformational component. This transformational component generates an output, which can either be grammatical or ungrammatical. Sentences were transformed in order to produce different forms. Originally, these forms were a Deep Structure and a Surface Structure. If the sentence could survive the transformation from the Deep Structure to the Surface Structure without breaking any rules, then it could be considered grammatical. Consider an example like 16. 16. Which books do you know where Taro bought? Some people think that 16 is not quite grammatical. Why might this be? Think of a Deep Structure and a Surface Structure. In this example, the wh-words may be getting in each other’s way when moving between Deep Structure and Surface Structure. 17. You know Taro bought War and Peace in the University Bookshop. 18. 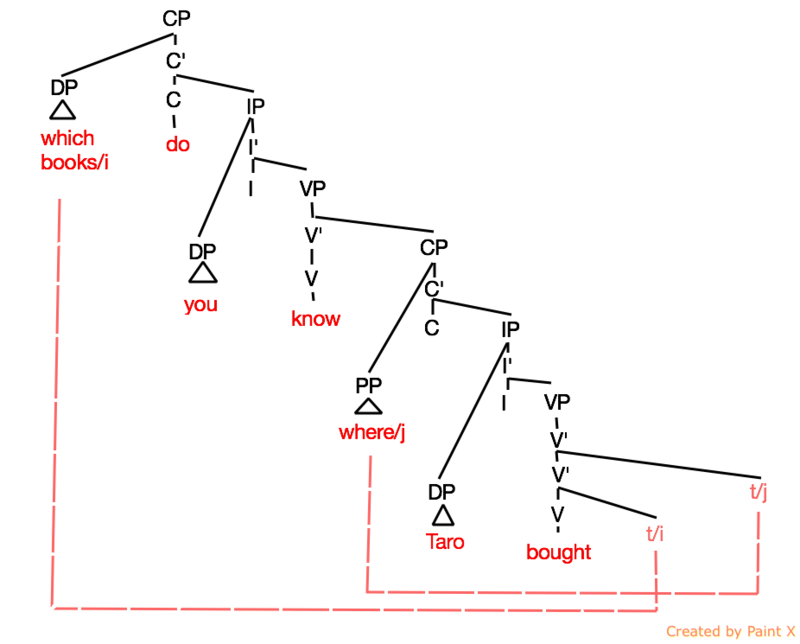 You know Taro bought [which books/i] [where/j]? When the wh-words move, maybe they get in each other’s way. For example, if they have to land in the lower Spec CP, maybe they block each other. This may explain why some people don’t like examples of this kind.